We all are familiar GAP right? 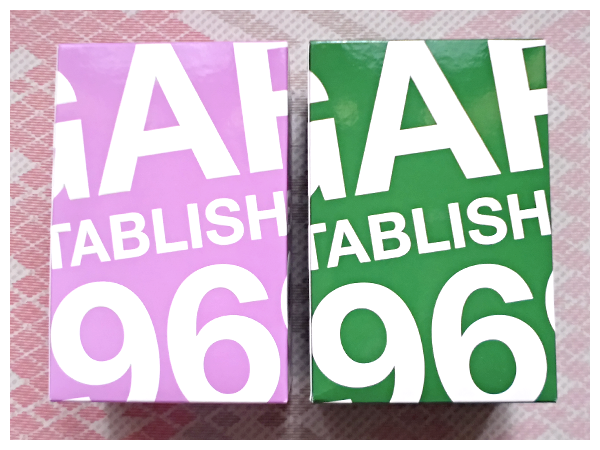 GAP is an American multinational clothing and accessories retailer. IMHO, this brand is identical with something casual and simple, yet classy. 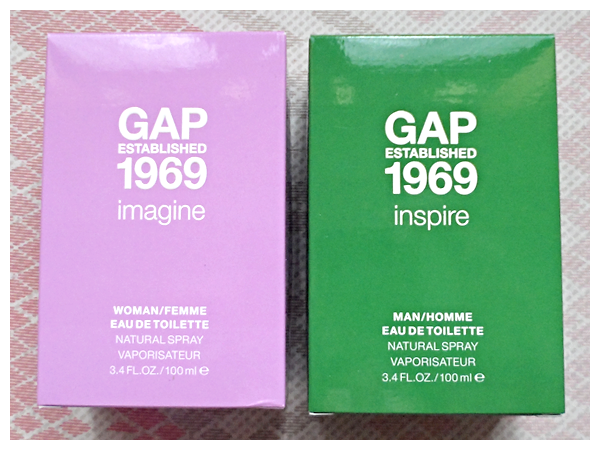 Besides fashion goods, now they also released Eau De Toilette called GAP Established 1969. I got two variants, Imagine (for woman) and Inspire (for man). 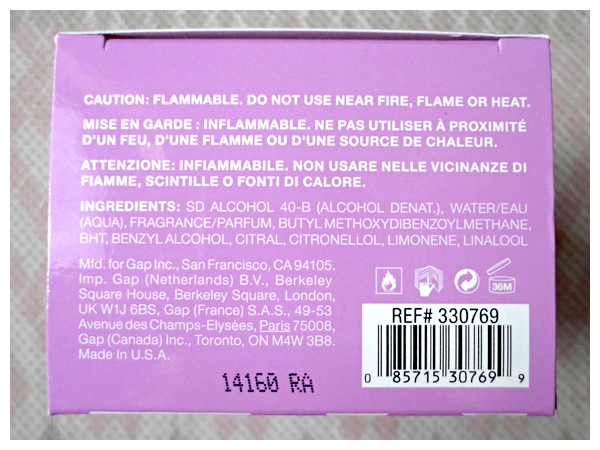 The bottle is wrapped in a solid color box with a simple design. The white letters are embossed, so it's clearly readable from a distance. The bottle has the same color with the box. 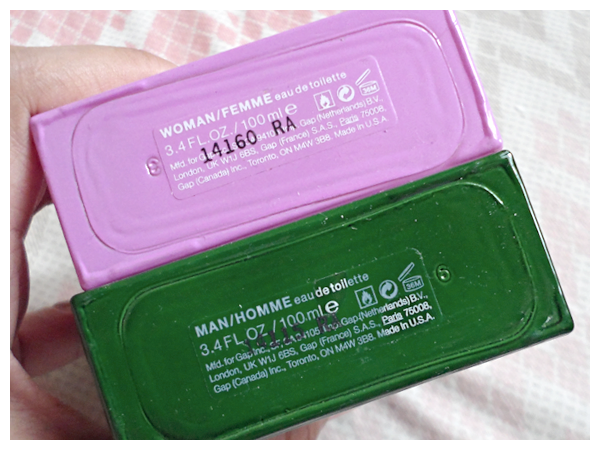 It's pinkish purple for Imagine and emerald green for Inspire. The cap is made of plastic in silver color. It has a characteristic of the GAP 1969 premium jeans button. 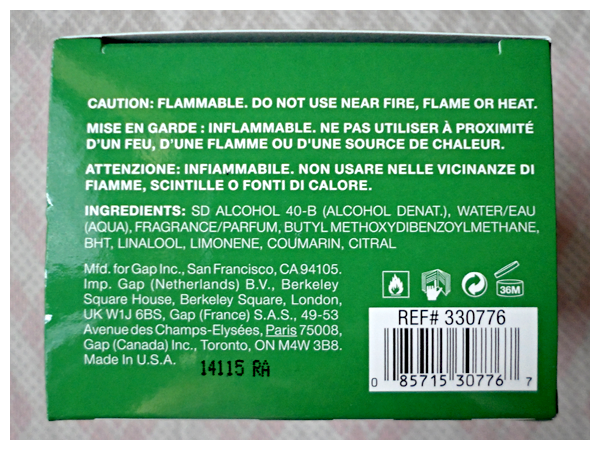 We can read the ingredients at the bottom part of the box. 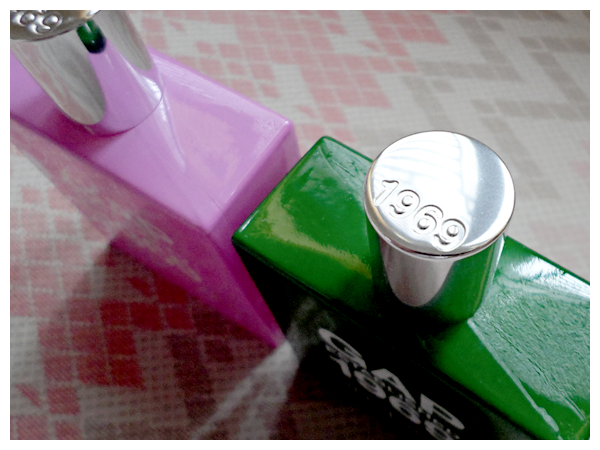 The concept of this fragrance is “Wear your color, your mood, your scent”. 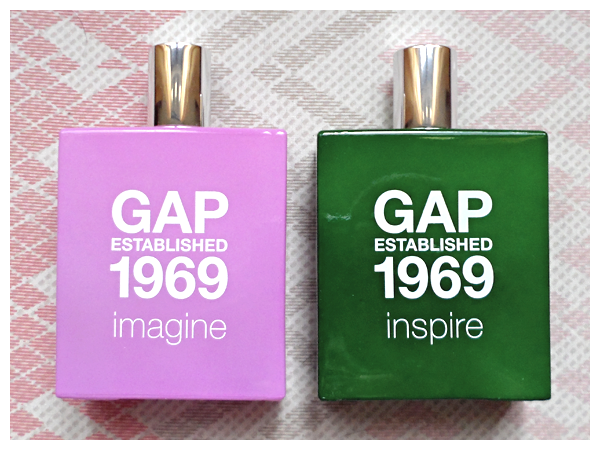 This colorful new fragrance is Authentic, Unique and always Real. - Imagine: An Imagine woman is a happy person who is ready to let the life bring her to another places. She still tries to find out who she is. It's not a problem. It becomes a motivation. Enjoyment of daily life make her smile. She has her own style in cheerful colors. Just like her style, she uses fragrance as expression. She has a classy cheerful soul, fun and full of life. - Inspire: An Inspire man is full of life and energy. He follows the intuition of a way of life that has been known by him. For him, it is a hard work which is fully realized and more focused. As a man, he has a self confidence that can give strength to always achieve what is desired anytime. Whether watching a concert and share the vibration or biking to work, those all was a promise to enjoy his life. His scent is his character and a way to communicate with the world. He is energetic, passionate and confidence. This fragrance is made in USA. We can check at the bottom of the bottle.